Down in Melaka, you know a lot Singaporeans and KL people drove down to Melaka for a weekend retreats. 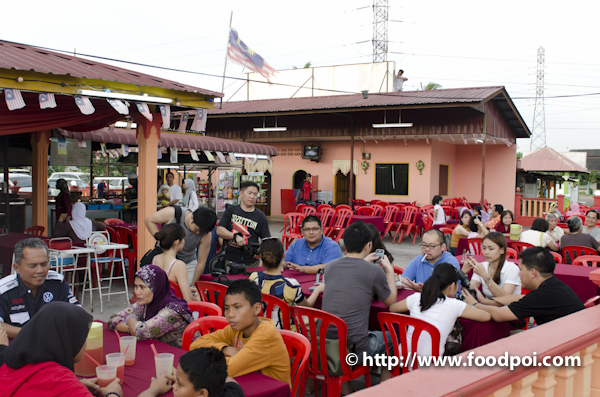 Most of the time, people tends to either flocked into the center of the town of Jonker Street or the Portuguese Settlement. 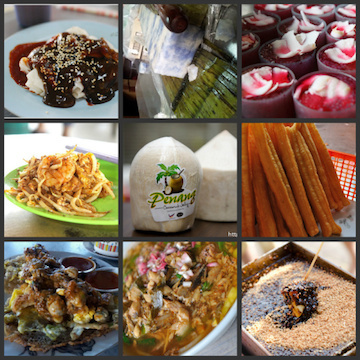 Thanks to my Melaka Food Expert Jason Mumble who lead us here. This place if without GPS will be a bit of Challenge to reach unless you come with a local. The operation hour of this place starts from 6.00pm onwards everyday. 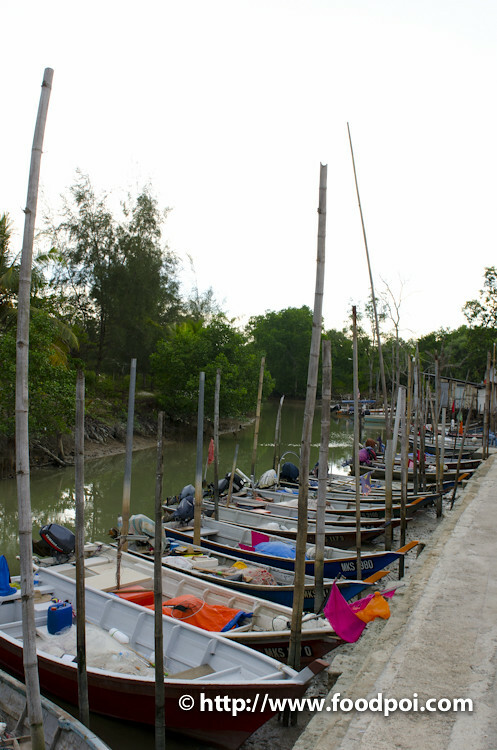 Located next to the Alai river, this place house a couple of shops where the local fishermen cook and sell their daily catch. You just pick what you want. Time to get dirty! 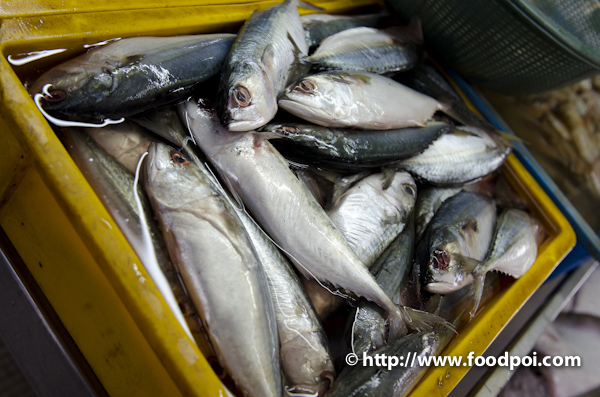 Fish ranging from cheap to expensive ones. 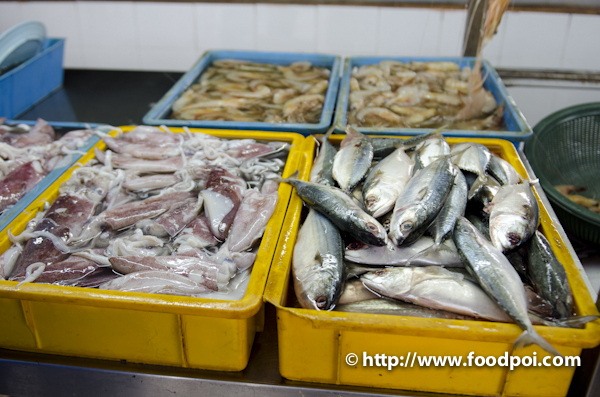 Pick your own seafood and then pass to the staff to weigh and inform them how you want your seafood to be cook. 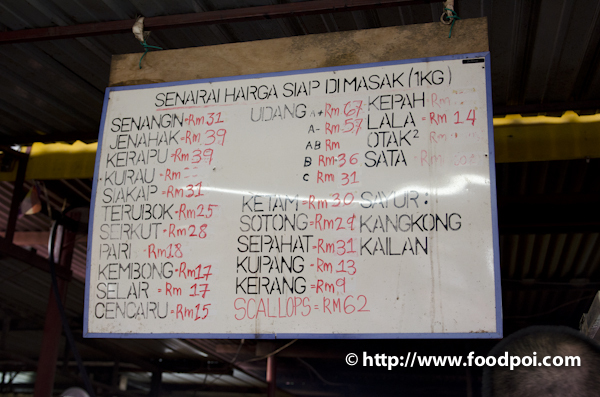 Price are pretty cheap and reasonable here. 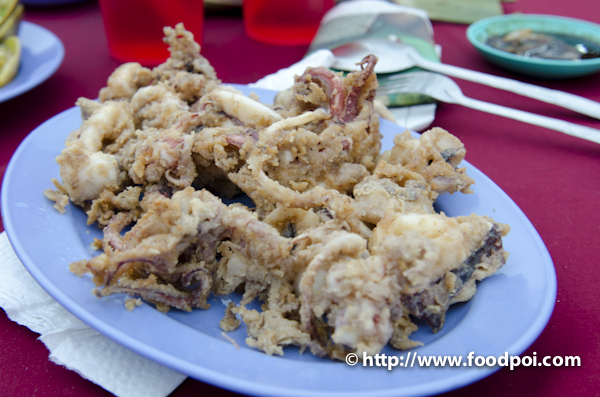 If you eat at Portuguese Settlement, the price will be much higher as that is a tourist spot. 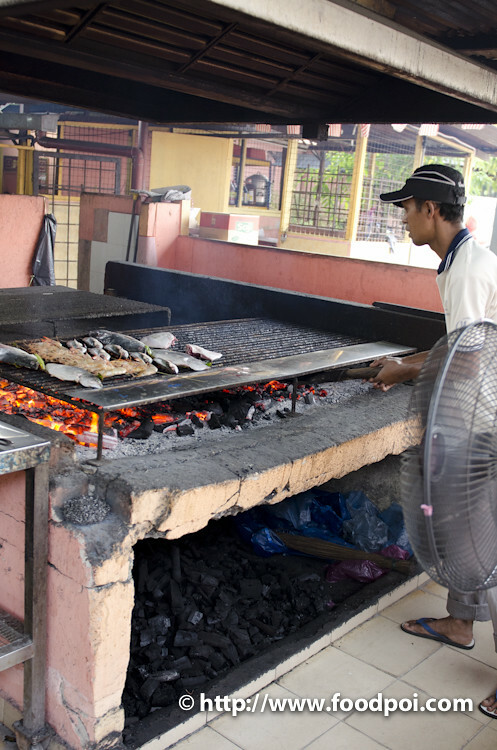 This is the grilling place where they grill your seafoods. 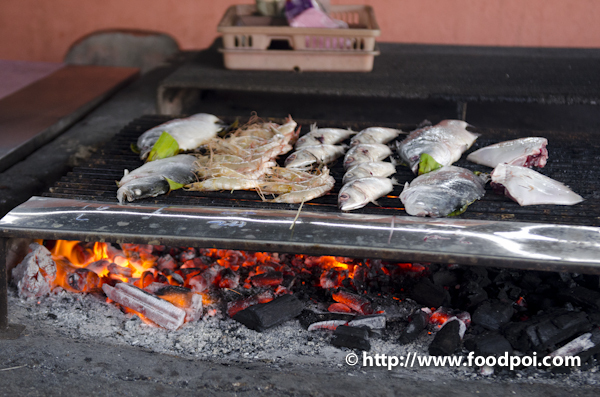 It is using the traditional cooking method which put the seafood direct on top of the fire. The place can get pretty hot sometime if no wind as we are sitting right at the open air. Seriously most of the patrons here were 70% Muslims and not much people know. 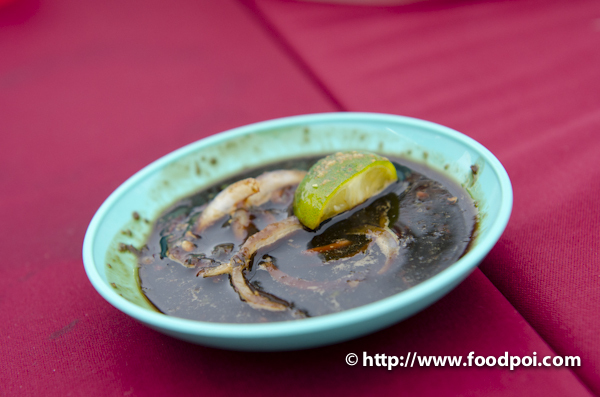 This kicap manis, onions, lime and bird eye chili combi are fiery hot! 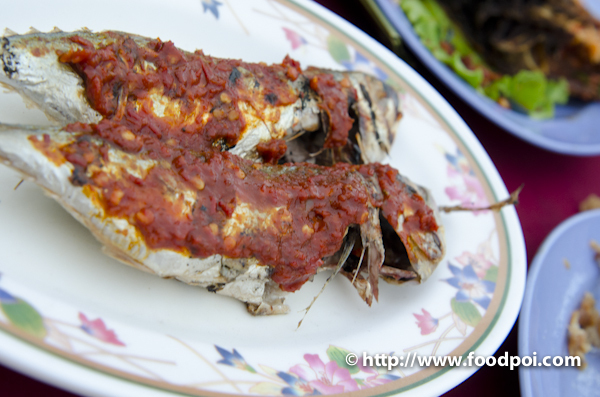 Yet tasty when dip with the grilled seafoods. 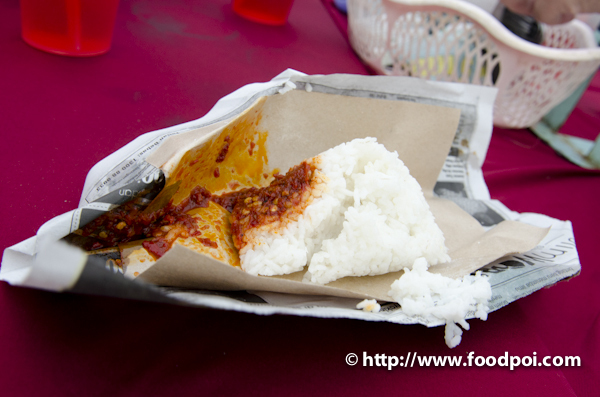 Piping hot plain nasi lemak with sambal is served together with the seafoods. 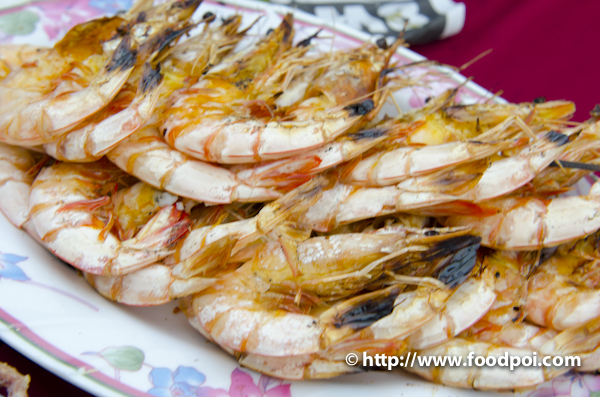 Grill Prawns …. no marination and no seasoning. 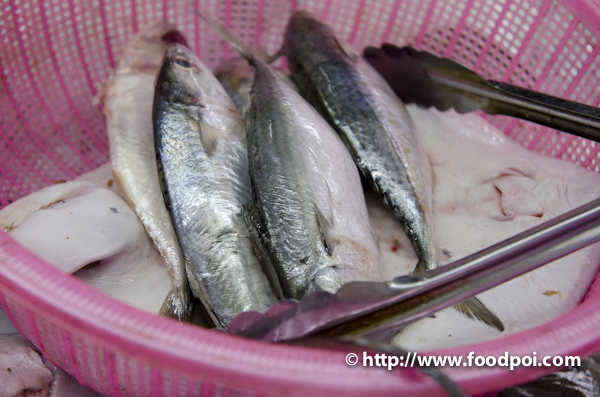 Perfect to go with the dip sauce. 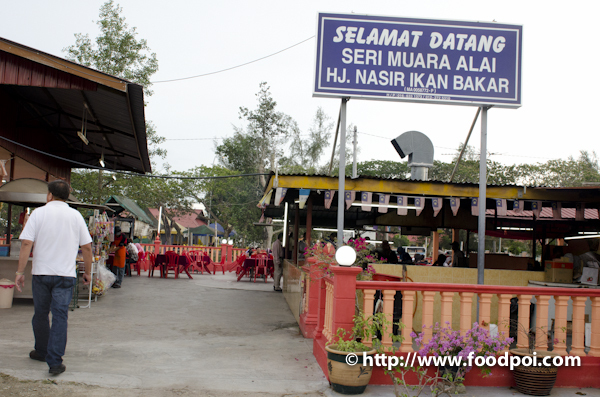 interesting makan place…will go for it when in melaka! We went to this restaurant because it pops out first in google search. When we reached there, there’s a lot of people so it might be true then. Unfortunately, the service was bad. we waited for almost an hour before we have our first ordered food on the table. and the rest of the food come one at a time.. and the food was not that great! 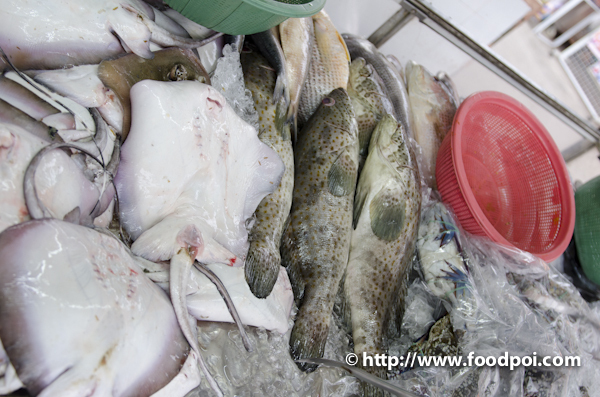 we’ve tasted way better seafood in other places. 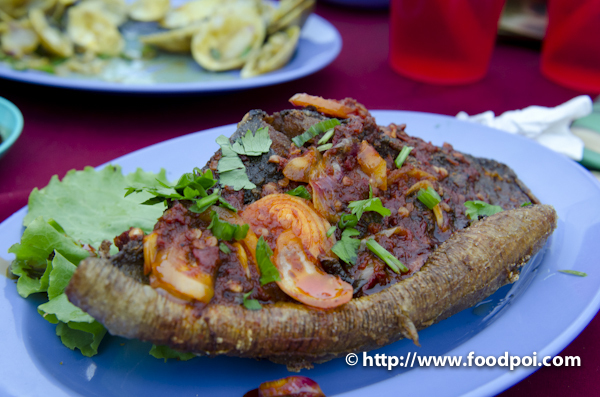 we ordered butter prawn and to our surprise, it was not what we used to see all this while. 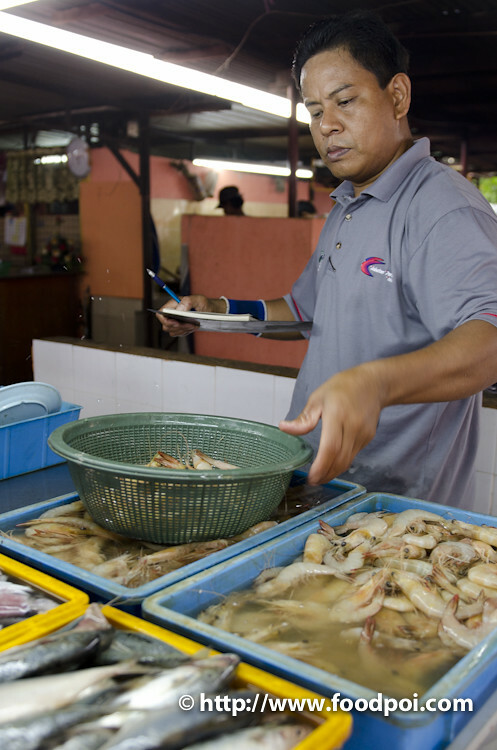 I think they cook literally prawn in butter sauce!! so weird! The worst part is, we try to give some comments/feedback to the cashier by saying the food was not that tasty and maybe they can improve it. to our surprise, she replied ‘Then, don’t need to come back here!’ ….. such a rude answer! Definitely, we WILL NEVER COME BACK to this place! they don’t know the word HUMBLE I guess! 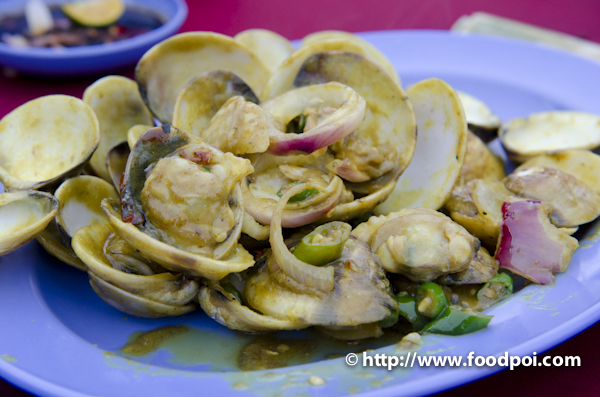 I baru pergi sini semalam.. serve sgt teruk i dtg from kl just nk mkn seafood .. but i dpt layanan yg sgt teruk.. mereka xkasi timbang.. just said same2 la kite teka berape harga ye. Than mknan xsdap.. i xtawu knape org suke prgi dgn hrge yg mahal.. i pun mmber rcement.. t hampa coz mknan xsdap.. i pergi deli.. u know what deli lgi sdap n u know i mkn bende yg same n i byr harga x same.. kdai niy i kne double.. logik ker 2 org mkn 100..
Lelaki yg dlm web site niy serve i sgt truk.. i rasa kne tipu dgn price dyer.. how come xkasi timbang.. 6 ekor udang 40 rggit.. bukan besa sgt.. series guys i kecewe prgi snie.. better u guys xpayah cube lgsung mkn kt snie.. i rase rugi dtg sana..